Israel’s Deputy Foreign Minister Tzipi Hotovely on Tuesday said people in Tel Aviv are living under “migrants’ terror,” justifying government’s recent move of handing eviction notices to asylum-seekers from mainly Eritrea and Sudan to either leave the country voluntarily or face jail time. “The government of Israel has decided to remove migrant workers just like many other democratic countries, including the US and Australia,” Hotovely said, according to i24 News. Hotovely also said, “The comparison is outrageous,” alluding to the comparison of between deportations of Jews during World War Two and the upcoming expulsions of Africans from Israel. Earlier this month, the Israel government handed eviction notices to nearly 38,000 migrants from Eritrea and Sudan to exit the country voluntarily by March-end or face indefinite jail time, New York Times has reported. “As a country founded by refugees,” said another letter signed by 850 members of the Jewish clergy and delivered to Israeli embassies and consulates in the United States and Canada, “and whose early leaders helped craft the 1951 International Convention on the Status of Refugees, Israel must not deport those seeking asylum within its borders,” New York Times reported. 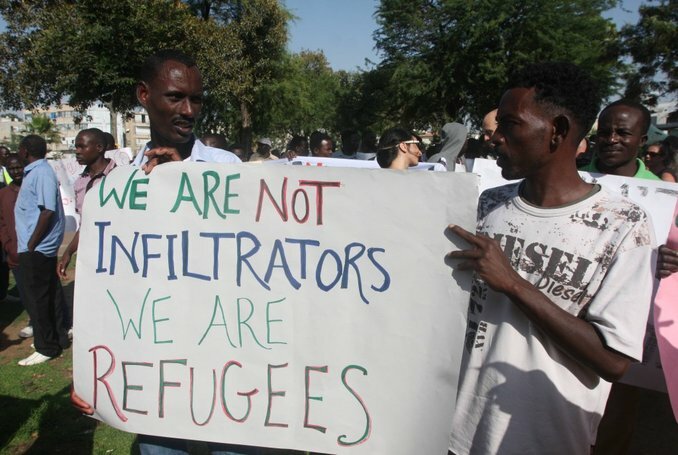 Around 60,000 Sudanese and Eritreans crossed the border from Egypt to reach Israel in 2005. The influx came to a halt in 2012 when Israel decided to put a steel barricade on a 150-mile long stretch bordering Egypt, the New York Times reported.